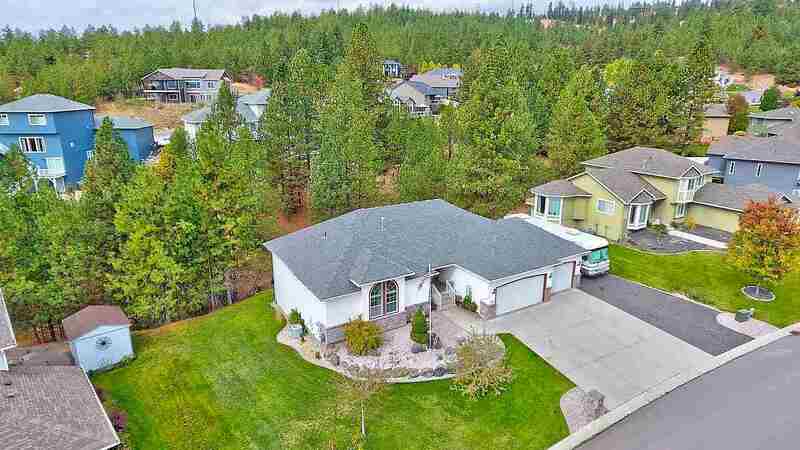 5711 N Hermosa Ct, Otis Orchards, WA.| MLS# 201825518 | Cooper Realty Services (509) 599-1111 | Spokane WA Real Estate | Contact us to request more information about our Homes for Sale in the Spokane WA area. Fabulous Highland Estates Daylight Walkout Rancher w/Main Floor living at it&apos;s best!! Enjoy the privacy & wildlife w/a greenbelt behind & across the street! All new flooring thruout this spacious 4 bed, 3.5 bath, 3400 sq ft beauty! Lrge open great room up & down for your dining, family & game rooms! You will love watching the deer stroll by from your lovely deck & lrge patio! Gas FA w/CAC & gas FP. Lrge 3 car garage & RV Parking! Easy low maintenance yard & landscaping. All applncs stay including W&D.